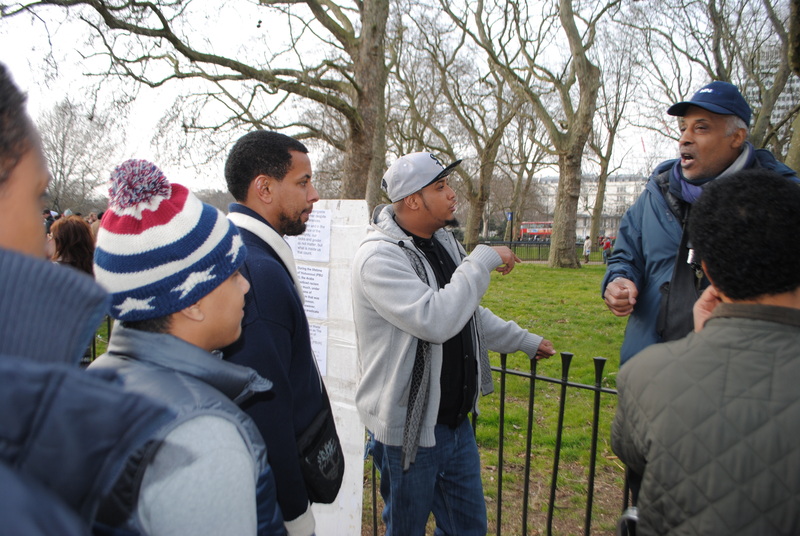 On Sunday 7 April, the Adventurers history club visited Speakers’ Corner as part of the Sounds from the Park oral history project http://on-the-record.org.uk/projects/sounds-from-the-park/ Members enjoyed a sociable get-together in the sunshine and the opportunity to listen to a range of speakers at the historic home of free speech in London. It was a thought-provoking day out. We heard crazy dogmatists, impassioned idealists and outright bigots talk on topics such as religion and repatriation. Several members refined their debating skills by getting involved in heated dialogue with speakers or in breakout discussion groups within larger meetings. Feelings ran high and at times arguments appeared about to erupt into violence; but for the most part the atmosphere at the corner was good-natured and friendly. The knots of people gathering to listen to the speakers were of all ages, backgrounds and nationalities. Some turned up in family or friendship groups, others came as pairs or couples yet many arrived alone and quickly fell into conversations with others. 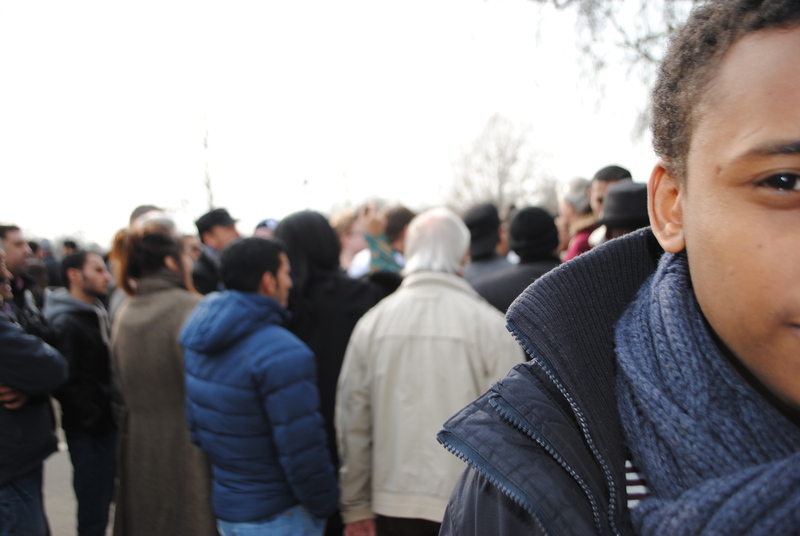 The usual social barriers and expectations do not exist at Speakers’ Corner.